Moreover, when I heard that Thierry Wasser, its creator, was hired as the in-house perfumer for Guerlain, I knew that I had to revisit some of his commercial work, and it is another reason why Dior Addict came out of its dark hiding place in my perfume closet. Since Wasser is an extremely talented, innovative and original perfumer, I see the announcement as very timely and exciting. Moreover, as I explore his fragrances (especially his independent works like that for Aqaba and S-Perfumes,) I realize more and more that his style of perfumery is a perfect match for Guerlain. Orange blossom, vanilla, tonka bean, and oriental resins are among the notes that Wasser seems to favor, and indeed, these materials comprise the traditional Guerlain palette. All of the above are amply present in Addict, even if the result is more Tom Ford edgy than Guerlain baroque. In fact, out of Wasser’s commercial portfolio*, Dior Addict (2002) always struck me as particularly curious because of its unexpected feminine-masculine dissonance. On the face of it, the composition abounds with the conventionally feminine notes of vanilla and white flowers, but when examined closer, it is essentially a rather masculine construction of woods and incense. It is, if you will, a tartan skirt that turns out to be kilt. The interplay between the feminine floral oriental and masculine chypre facets of Addict begins right from the top where the spicy notes of basil and cinnamon balance out the heady sweetness of orange blossom, jasmine and ylang ylang. The heart of the fragrance is comprised of sweet vanillic, resinous notes as well as dry, ambery woods, and it is this juxtaposition that creates a memorable signature. While my relationship with Addict is ridden with ambivalence at best, I would rather be intrigued by a fragrance than bored. Dior Addict includes notes of “mandarin leaf, silk tree flower, Queen of the Night flower, rose, jasmine, orange blossom, absolute of bourbon vanilla, sandalwood from Mysore and tonka bean.” It is available from all Dior counters as well as Sephora. * Wasser has created Jacques Bogart Furyo (woody oriental with a fantastically dirty animalic note, now sadly discontinued,) Calvin Klein Truth, Gres Caline, Lancôme Hypnôse, Guerlain Iris Ganache, among others. It’s wonderful to see you back, Vika! And congrats on the Basenotes award! cara: Woah! All perfume blogs are “Addict”-ed today. Sorry, couldn’t help it! 🙂 Did you guys coordinate this or are you magically on the same wavelength? Boisdejasmin: Risa, it gives me a migraine too if I wear it, but I still do try it in hopes that the last time was just a coincidence. violetnoir: What a great review. Thank you, darling! Now on a more pedestrian note: Isn’t Addict the one that smells like Guerlain L’Instant? 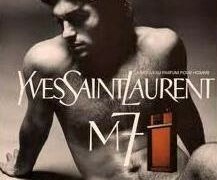 I prefer the latter, but if this is the one that smells like L’Instant, then I can understand how Thierry Wasser may fit Guerlain’s aesthetic. March: Count on you to point out something that makes me smack myself in the forehead and say, why didn’t I think of that?!? I think it is that tartan skirt/kilt dynamic that I find alluring. I promise I will never wear more than one spray, though. Elena: My father came from one of his business trips with a bottle of this (surpirsingly, he loves perfume almost as much as I do). He sprayed it into the air and I just could not take this smell. It made me uneasy and anxious. There is something very raw and sexual about this scent and its presence was so out of line in my parents’ warm and familiar house. This perfume was like a vulgar woman, flaunting her skimpy clothes that you see on the street while walking with your parents and you get embarassed and uneasy. I could not imagine wearing this scent. Boisdejasmin: March, doesn’t that dissonance create such a memorable effect? I like it too, even though I cannot wear Addict at all. Boisdejasmin: Arwen, see my comment to Robin. I think that Wasser has more tricks up his sleeve than what the market allowed him just yet. So, I am confident that he will do a terrific job. Boisdejasmin: Elena, I can understand what you mean about raw and disconcerting. Press releases on Addict emphasized soft sexuality and femininity, but it is anything but that to me. I find it mildly disturbing, even though it is what makes it exciting for me.